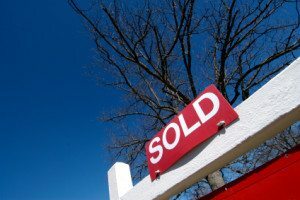 Great news for interested home sellers throughout the country: The price for single-family homes has increased in 88 percent of the country’s cities! That’s according to third quarter data recently discussed in a Bloomberg article. Experts are saying that the increase is directly attributed to buyers competing for limited inventories as well as a decrease in available foreclosed properties. But the good news didn’t stop there for those home owners thinking about selling. A third of those metropolitan areas had double-digit increases in median transaction price. Completed foreclosures in September dropped a whopping 39 percent from a year earlier. Some cities are seeing near record price gains, including San Francisco and San Jose. The nationwide median price for an existing single-family home increased 12.5 percent in the third quarter year-over-year. Specifically, the nationwide median price is now $207,300. Those areas that saw the greatest price increases were Sacramento and Atlanta, which both saw increases of 41.8 percent. Las Vegas and Punta Gorda, Florida had the next largest year-over-year price gains with 31.9 percent. Other cities with large increases included Los Angeles (26.2 percent) and Phoenix (25 percent). Those areas with the biggest price declines were all in Illinois. Peoria had the steepest drop with 13.9 percent, followed by Kankakee (down 9.9 percent) and Rockford (down 8.4 percent). Meanwhile, the average mortgage rate for 30-year fixed loans was 4.1 percent. Meanwhile purchase contracts for exisiting homes dropped the most in more than three years in September. During the third quarter, San Jose had the highest median home price with $805,000. Meanwhile, those cities with the most affordable median home prices were Toledo, Ohio ($87,500), Rockford ($88,900) and Decatur, Illinois ($91,000). This data suggests that the market is rebounding in a big way, giving home sellers an opportunity to get the price they want for their home. National Data You Can Use! Please be sure to check back here soon for updates on the state of the national housing market, and how it may affect your neck of the woods. And if you have any specific questions as a home seller, make sure to contact us for expert advice and useful resources. Here’s another sign that the tide has turned on the national real estate market: US homes entering the foreclosure process fell to their lowest levels in 7 years during the 3rd quarter of 2013. This is tremendous news for interested home sellers because foreclosures have been pulling down median sales prices all across the country for the last few years. What’s more, the drop in foreclosures signals that fewer homeowners are falling behind on mortgage payments, which is yet another indication that the market is in fact improving. And that’s good news for everyone! According to a recent Associated Press article, lenders started the foreclosure process on 174,366 homes between July and September, which is the lowest level since the second quarter of 2006. What’s more, foreclosure starts were down 39 percent from the third quarter last year. 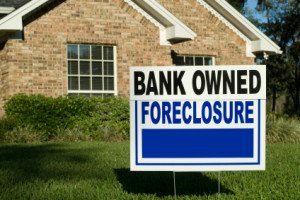 During the third quarter 2013, foreclosure starts saw year-over-year decreases in 38 states, including Colorado, Arizona, California and Illinois. Meanwhile, there were year-over-year increases in foreclosure starts in 11 states, including Maryland, Oregon, New Jersey and Connecticut. Although there were fewer homes entering the foreclosure process, lenders actually increased their home repossessions. Thus, data shows there was actually a quarterly increase in homes lost to foreclosure. Completed foreclosures increased 7 percent between the second and third quarter. 119,485 homes were taken back by lenders during the third quarter. Experts project that the country will complete about 507,497 foreclosures by the end of the year, which is actually down about 24 percent from 2012′s total. Foreclosures peaked in 2010 with 1.05 million. They have been decreasing since then. During the third quarter, it took an average of 551 days between the time a home began the foreclosure process to the time it was completed repossessed. This is an increase from the average number of days this process took in the second quarter, which was 526 days. New York had the longest foreclosure processing time with an average of 1,037 days, or almost three years. Meanwhile, Maine had the shortest foreclosure processing time with 160 days. Florida continues to have the highest rate of foreclosures, with a rate that is more than twice the national average during the third quarter. The other states that made the Top 10 List for Highest Foreclosure Rates in the 3rd Quarter were: Nevada, Maryland, Illinois, Ohio, Connecticut, Delaware, New Jersey, Indiana and South Carolina. While we just shared with you a ton of real estate data, the bottom line is that the drop in overall foreclosure starts is an indication that the US housing market is continuing to improve. This improvement is being aided by steady job growth, more reliable loans and rising home prices. Check back soon for more updates on US housing market trends!